Cookies are small text files sent from a website and stored in the user’s web browser while a user is browsing a website. When users visit the same website again, the browser sends cookies back to the website allowing the website to recognise the user and remember things like personalised details or preferences. More information about cookies and details of how to manage or disable them can be found on www.aboutcookies.org. Please note that if you choose to opt-out of receiving cookies, you may lose some features and/or functionality of www.m50honda.ie. Which Cookies Does M50 Honda Use? Identifying you as being signed in to a website and keeping you logged in throughout your visit. 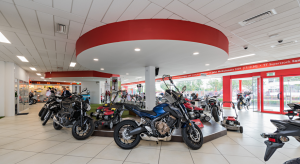 M50 Honda gathers anonymous visitor information through Google Analytics and Google Adwords. Remembering your preferences and settings such as redirect to mobile version of the site when you are browsing with a smartphone. If you have an account on a particular website, a cookie on your computer lets the website remember your username and email address so you don’t have to enter it again when you are commenting or writing a review. M50 Honda has enabled Addthis in order to allow users to share news items, events and blog posts on social networks. Additionally, Google Maps has been enabled in order to show the location of our offices. Some cookies that have been set on our websites are not related to M50 Honda. When you visit a page with content embedded from, for example, YouTube, this service provider may set its own cookies on your web browser. We do not control the use of these cookies and cannot access them due to the way that cookies work, as cookies can only be accessed by the party who originally set them. You should check the third party websites for more information about these cookies.